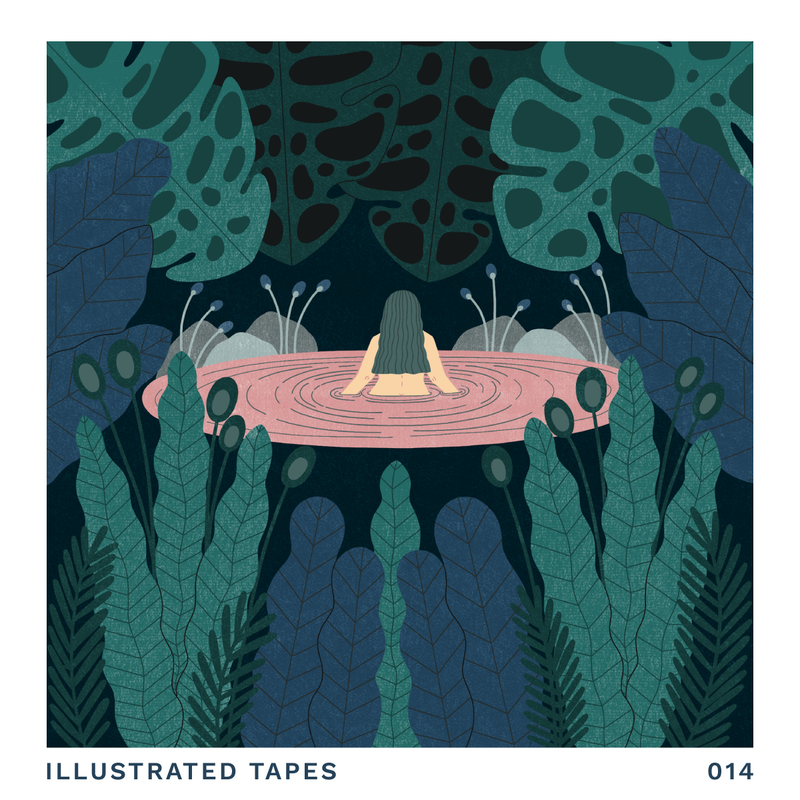 Back in August I was really lucky to get to collaborate with a series called 'Illustrated Tapes'. 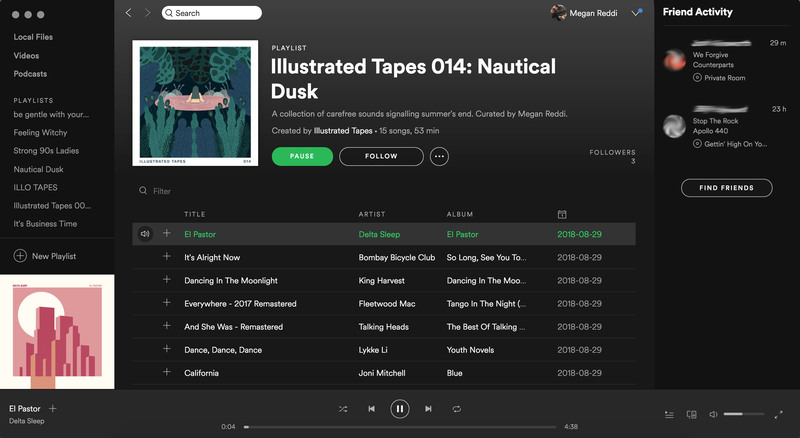 Illustrated Tapes is a fortnightly project of curated playlists/mixtapes by illustrators, designers and artists who also create the playlist artwork. The project is run by Sam Ailey, a friend of mine who I met through The Pretty Picture Club. I was so eager to get on board with this project that I hit Sam up to beg him to let me take part. Luckily he agreed to let me contribute a playlist and artwork - thanks Sam! 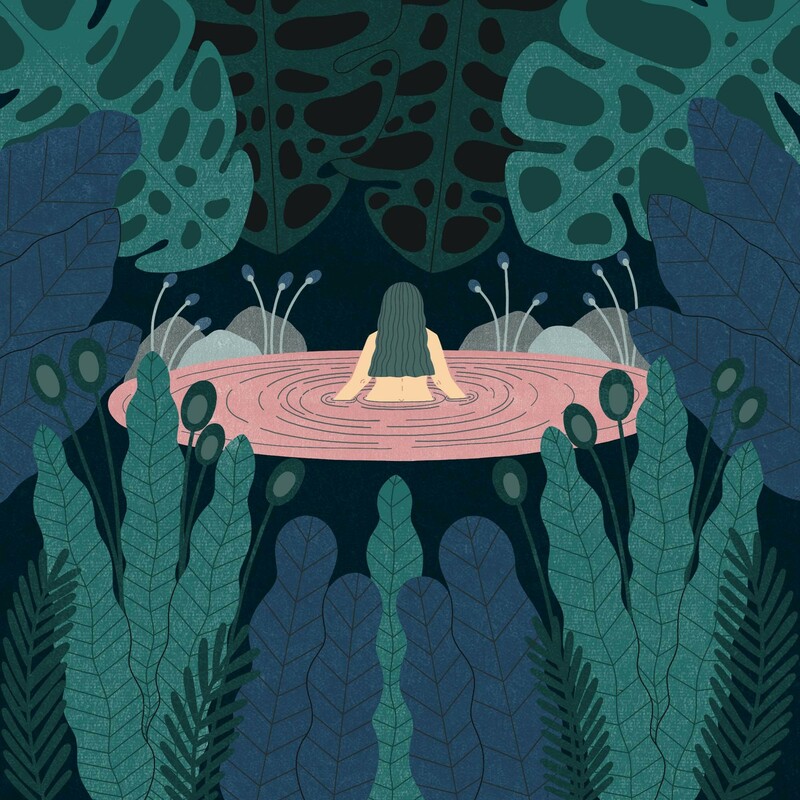 Once I received the details from Sam I got to work - I knew my playlist would go live at the end of August so I wanted my tape to capture the feeling of Summer coming to a close. I started by putting together the playlist and once I was happy with that, I made a start on the artwork. I started off with the roughs above. 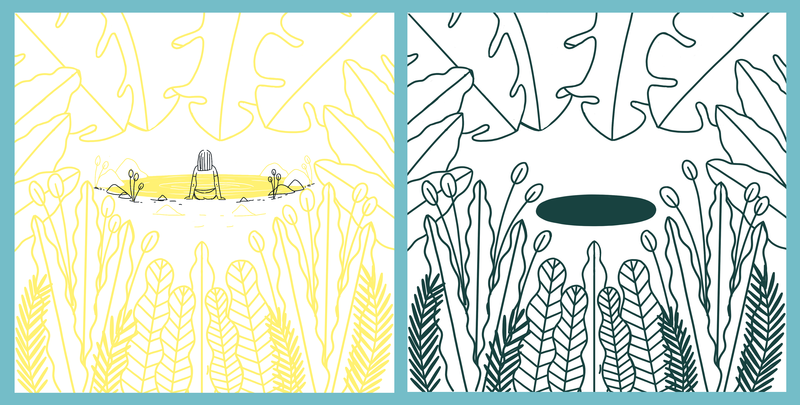 I had a general idea of what I wanted to make so I roughed these up in Procreate, which is quite unusual for me. I normally start in my sketchbook but this time the artwork just kind of tumbled out and I wanted to get it all sketched out before I lost the idea! I ended up settling on the rough on the left and made a start. For this image I worked in Procreate on my ipad and started fleshing everything out. It went through a few iterations before I was happy with it. Once I was happy with the image above I then transferred my image from Procreate to Photoshop to start adding some texture. You can see the difference in depth that you get from simply adding texture! 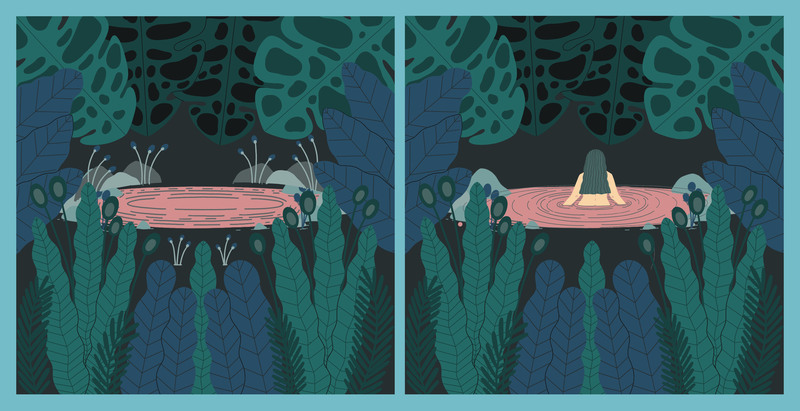 Once I was finished, the final illustration was then sent over to Sam who added the Illustrated Tapes branding and voila!